From the point of view of a baby, breasts are close to perfect. They are soft, warm and full of nourishment. Moms, however, sometimes wish that their bodies came with some way of measuring how much milk their breasts hold. Almost every breastfeeding mom occasionally worries about her milk supply. Lots of nursing mothers turn to lactation supplements to ensure that their babies are getting plenty to eat. Moms who pump on a regular basis, because they work or for other reasons, may have a more precise way of telling if their supply is increasing than those who feed from the breast. Of course, pumping mothers often face unique challenges in building up their supply. Lack of time to pump, having to cut pumping sessions short and the stress of finding time to pump can all reduce milk production. Women have been using certain herbs for centuries to build up their milk supply. Unfortunately, few herbal remedies have been subjected to rigorous study. For that reason, before you start taking a supplement, check with your doctor. If your doc gives you a green light, then try one of these lactation supplements. Be sure to give it time to take effect. You will be the best judge of what works for you. Most herbal supplements are safe as long as you use them as directed. Still, some moms may experience side effects from lactation supplements. Always listen to your body, and consult your doctor if you have concerns. It’s also possible for the herbs to be passed to your baby through your milk. Watch your baby for changes if you start using lactation supplements, and report anything unusual to your pediatrician. Part of the ingenious design of the breast is that it follows the rule of supply and demand. When your baby demands more milk, by nursing longer or stronger, the breast responds by increasing the supply. If you are bare-breast feeding, you should be able to build up your supply simply by putting your baby to the breast more frequently. It can be hard to get babies to nurse for longer periods of time because once their hunger is satisfied, they stop sucking. But they will seldom turn down an extra added feeding session. Numerous situations can disrupt this supply-and-demand system. Moms who are busy, stressed or poorly hydrated may not produce more milk even when baby demands it. Hormonal fluctuations that you will experience as your body recovers from giving birth can also play a role. Birth control pills often have an adverse effect on milk production. In addition to birth control pills, medications that can cause reduced milk supply include those containing pseudoephedrine, such as Sudafed and Zyrtec D. Alcohol and nicotine can also decrease milk production. Certain physical conditions can also cause low milk supply, according to the Mayo Clinic. These include obesity, diabetes, and high blood pressure. If you have previously had breast surgery or if your baby was born prematurely, your supply may be affected. Pumping moms have a slightly different set of challenges, especially those who work full time. It can be hard to schedule pumping time, and it is tempting to skip a session when you have an extra busy day. Babies who are wholly breastfed usually eat every two or three hours, especially during the first few months of life. If you want to mimic that, you will need to pump every few hours. Some moms have trouble letting down at work, especially if they do not have a quiet, pleasant place to pump. They also don’t have the presence of their baby to help the process along. The letdown reflex can be triggered by a baby’s cry or smell. Without that, letdown can be impaired, and the breasts may not be emptied completely. When breasts aren’t emptied, the body doesn’t get the signal that it should make more milk. Even when they work well, breast pumps don’t empty the breast as completely and efficiently as your baby can. If you are trying to cope with these or other nursing issues, you may be wondering about using a lactation supplement. But since you’re sharing everything that you ingest with your child, you may wonder if such supplements are safe. It’s a common error to believe that natural substances cannot be harmful. In fact, herbal products and other natural supplements can trigger adverse reactions in some people. In addition, the Food and Drug Administration (FDA) puts such products in the category of dietary supplements, not medicine, so they are not as tightly regulated as medications. That’s another reason why consumers must exercise caution. Dietary supplements do not require FDA approval before being placed on the market, as medications do. Instead, the FDA’s role begins after the supplement is being sold. At that time the FDA can take action against supplements that are wrongly branded or that have been adulterated. The FDA can also act against substances that present a risk of illness or injury. One way that the FDA assesses such risks is by incident reports turned in by consumers. Many thousands of individuals have used dietary supplements without harm, and the use of some supplements, such as fish oil and folic acid, is being widely accepted by the medical community. Still, it pays to err on the side of caution, especially when you are a nursing mother. It is difficult to prove that a particular substance has a positive effect on breast milk supply, simply because it’s difficult to accurately measure milk supply. A number of substances have a reputation of increasing milk production. This reputation may be based on anecdotal evidence, along with some research data. Fenugreek. The seeds of this clover-like herb are used to increase milk production. Those who use it will become very familiar with its smell, which is much like maple syrup. This smell is often discernible in the urine, perspiration and breast milk. Fenugreek is also a phytoestrogen and should be used with caution by women with certain hormone-sensitive conditions. 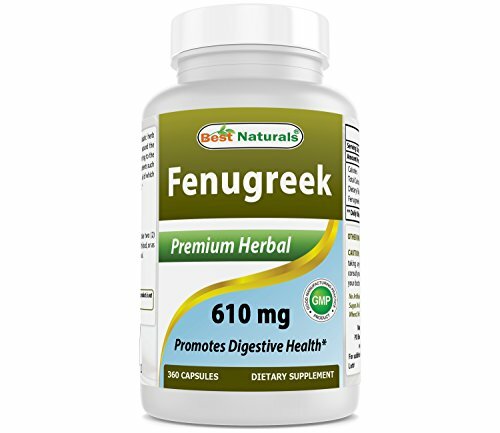 Learn more about fenugreek from the National Institutes of Health. Blessed Thistle. This plant is used for a wide variety of ailments, including digestive upsets and respiratory woes. It is considered a diuretic and is also used to increase milk flow. It is not the same as milk thistle, which has a modest reputation as a galactagogue. Learn more about blessed thistle from VeryWell. Fennel. You’ve probably seen fennel in your local grocery store. All parts of the plant are used in cooking, from the feathery fronds to the whitish stalks. The seeds are the part most often used in lactation supplements, but ingesting them can result in some side effects. Learn more from LiveStrong. Goat’s Rue. This plant was originally used in Europe to increase the milk production of The fresh leaves are toxic, but the dried leaves are safe for use. Goat’s rue is related to fenugreek, but it doesn’t have the maple syrup smell. Learn more about goat’s rue from VeryWell. Stinging Nettle. This plant has been used for a wide variety of ailments and also as a general tonic. The leaf, which is the part most often used in lactation supplements, has also been used as a diuretic and as a laxative. Learn more about stinging nettle from VeryWell. Shatavari. This feathery plant is used in Ayurvedic or traditional Indian medicine. It is most often used for gastric distress. Learn more about shatavari from Livestrong. Anise seeds. Known for its licorice-like taste, anise is widely used as a flavoring and fragrance. It is used medicinally for female ailments, asthma and constipation. The seeds are considered a galactagogue. Learn more about anise from WebMD. Moringa. This herbal remedy comes from the moringa tree, native to India. This plant has been used medicinally for many years and now is earning global notice for its healing qualities. Learn more about moringa from VeryWell. Alfalfa. A member of the pea family, alfalfa is used as a food for livestock and is consumed by humans, mostly in the form of sprouts. The dried leaves are used to increase breast milk. Learn more about alfalfa from VeryWell. Marshmallow Root. It’s not just something you put in s’mores. Marshmallow is also a plant with many medicinal uses. See more about marshmallow from WebMD. The roots, leaves, and seeds of plants can be used in supplements. You will also sometimes see the word “aerials,” which means the part of a plant that grows above ground. The effects of a particular herb can vary greatly depending on which parts of the plant are used. Being on Other Medications. Dietary supplements can enhance or reduce the effect of particular drugs. Having a Medical Condition. Some supplements are contra-indicated for those with certain health issues. Having Surgery in Your Near Future. Some supplements can increase the risk of bleeding, while others can affect the way your body responds to anesthesia. Once you have established that you are a good candidate for supplements, it’s important to take them regularly. Unless otherwise directed, take them with food, and be sure to drink plenty of fluids. Some products intended to boost milk supply come in the form of teas that you drink or food that you eat. These may be perfectly good products, but it’s easy for busy moms to leave a cup of tea half-drunk or a cookie half-eaten. Supplements that are taken in pill or capsule form avoid this possibility. Lactation supplements that are meant to be eaten or drunk as tea frequently contain ingredients that are there just for the taste or to mask the taste of some of the bitter herbs. Some moms prefer to take their lactation supplements in pill or capsule form because there’s no need for taste-enhancing ingredients. Moms have two basic options when choosing a lactation supplement. One is to go with single-ingredient supplements. The advantage of this method is that it will be very clear whether that particular ingredient helps your milk supply or not. The disadvantage is that you may have to buy and try several supplements before you find one you like. The second option is to try a multi-ingredient supplement. This method may bring you faster results, but if you dislike the effects of the supplement, it can be difficult to isolate which ingredient is causing the problem. Another important point to remember when choosing a supplement is that “mileage” can vary. One mom can get excellent results from a particular lactation supplement, and another mom may see no change. For this reason, it’s important not to pay too much attention to negative reviews and claims that a particular supplement “doesn’t work.” It may work just fine for you. With all of this information in mind, let’s take a look at the best lactation supplements. True Milk by Pink Stork is a multi-ingredient supplement that aims to not only increase milk supply but also improve the taste of breast milk. It is a blend of fenugreek, fennel seed, blessed thistle, milk thistle, goat’s rue, and anise seed. Pink Stork claims that True Milk is the only totally organic lactation supplement on the market. It also claims that True Milk contains more herbs per serving than any other lactation supplement. Two capsules per day is the recommended dose. True Milk is produced and tested in the United States. The founder of Pink Stork became a proponent of natural vitamins and supplements after three difficult pregnancies. She used natural remedies for her fourth pregnancy and had a much easier time. She founded Pink Stork to help other moms during and after their pregnancies. The company also makes lactation teas. Pink Stork products come with a happiness guarantee. The company makes it easy to return items that you do not like, even if they are opened. Also, the company supports moms with an informative blog and other helpful resources. Good for Almost Everyone. 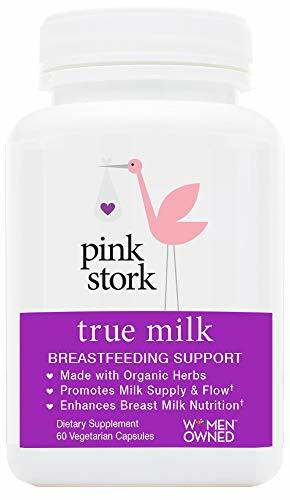 Pink Stork True Milk is all-natural, vegan, gluten-free, soy-free, dairy-free and non-GMO, so it can be used by almost all moms. Easy to Take. This supplement comes in easy-to-swallow capsules made of pullulan, a vegetable-based material, and the suggested dosage is just two capsules per day. Works for Many Moms. Many users said that this supplement did increase their milk production. Contains All the Major Galactagogues. This blend contains the best-known milk boosters, including fenugreek. Warranty. You can return any product within 30 days, even if opened, and the company will cover shipping. See the company website for information about returns. The Supermom Company came out of one’s mom’s breastfeeding journey. Veronica Barona struggled with her milk supply when her baby was in NICU. She became determined to find a natural solution for women in her situation, or for women who struggle with low milk supply for any reason. 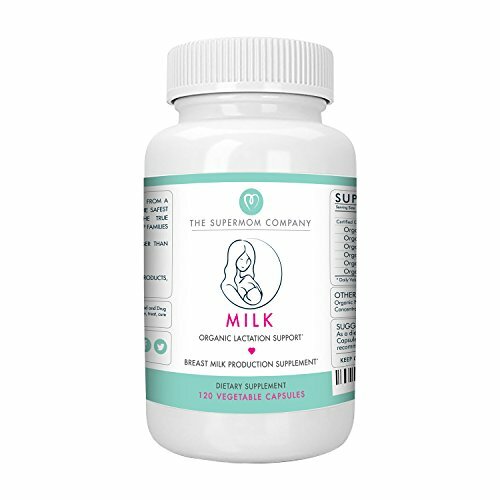 The Supermom Company’s lactation supplement, simply called Milk, contains six substances to boost milk production: goat’s rue, malunggay, fenugreek, milk thistle, fennel seed and shatavari. The company recommends that moms take four capsules a day until nursing is well established and take two capsules a day thereafter. The website also states that this supplement may help moms lose postpartum weight. This claim is apparently based on the fact that this supplement contains malunggay, which has been touted as a herb that promotes weight loss. The leaves of the malunggay or moringa tree contain chlorogenic acid, which is said to help regulate blood sugar and promote fat burning. Results have been shown with mice, but have not been duplicated with humans. It’s always wise to regard weight loss claims with a healthy skepticism. This product may not help you lose weight, but it could increase your milk production. Organic. The Supermom Company’s Milk is 100% organic, including the non-active ingredients cellulose and rice hull concentrate. Warranty. This product carries a 100% satisfaction guarantee with no questions asked. Contains Major Galactagogues. This blend contains well- known milk boosters: fennel seed, milk thistle, goat’s rue and fenugreek. Works for Many Moms. Many moms said that they had good results with this supplement. May Cause Gastric Distress. Some moms said that this product upset their stomachs. Not Budget Friendly. This product is moderately priced for moms who take only two capsules per day, but is somewhat expensive if you need to take four. 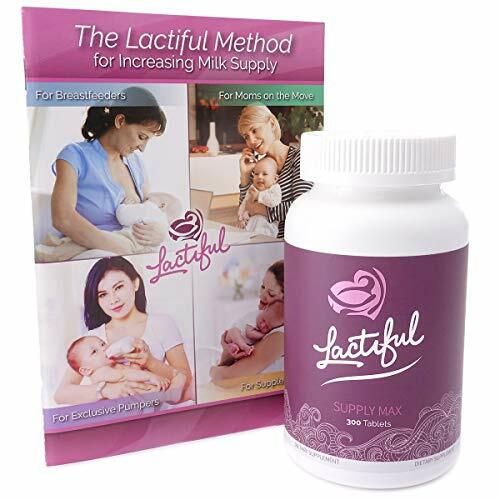 Advertised as the world’s strongest supplement for increasing breast milk, Lactiful Supply Max contains eight ingredients, plus “utility” ingredients to enhance absorption of the primary ingredients. The company website refers to a study that found that 2 out of 3 women increased their milk supply with Lactiful Supply Max, but no link to the study is provided. The company recommends that you talk to your doctor before using Lactiful Supply Max if you have asthma, diabetes, epilepsy, lupus, thyroid disorders, low blood pressure and a number of other conditions. You should not take Lactiful Supply Max if you are on blood thinners. The recommended dosage is 5 tablets three times a day, which sounds like a lot. However, the company purposely made the tablets small for easier swallowing. Warranty. Lactiful Supply Max carries a 100% satisfaction guarantee, and users give the company great marks for service. Contains All the Major Galactagogues. This blend contains eight ingredients to boost milk production: fennel seed, nettle leaf, blessed thistle, goat’s rue, alfalfa, anise seed, marshmallow root and fenugreek. Extras. This product comes with a 64-page guide of breastfeeding advice. Works for Many Moms. Many mothers said that they experienced improved milk supply when using this supplement. High Standards. This product is manufactured in the United States in facilities that meet GMP standards. Possibly Too Many Ingredients. Supplements with a high number of ingredients may offer a greater chance of sensitivity or adverse reactions. Extra Ingredients. These capsules also contain dicalcium phosphate, croscarmellose sodium, stearic acid, cellulose, silicon dioxide, magnesium stearate, and pharmaceutical glaze. May Cause Gastric Distress. Some moms said that this product caused both their and their babies’ tummies to be upset. Not Budget Friendly. When taken as directed – 5 tablets three times a day – this product is quite expensive. If you hate to take pills, you’ll be grateful that WishGarden makes its supplements available in tinctures, too. Just add 2-3 droppers full to some water for an easy-to-take lactation supplement. According to the company website, making supplements in the form of tinctures means that the body can use them immediately. Also, it’s easy to increase or reduce dose without opening capsules or cutting tablets. WishGarden’s Milk Rich covers the major galactagogues with a blend of goat’s rue, fennel seed, fenugreek seed, blessed thistle, and nettle leaf. It also contains raspberry leaf, which is sometimes included in lists of galactagogues. WishGarden’s website states that they use cultivated organic herbs and wild-crafted herbs, but that they are not currently certified as organic, non-GMO or kosher. In addition, WishGarden tinctures contain a small amount of alcohol and probably should not be used by recovering alcoholics. WishGarden is a family-owned and family-operated business, headed by noted herbalist Catherine Hunziker. All products are made at the WishGarden facility in Colorado. The company is committed to protecting the planet and screens its suppliers not only for quality but also for sustainability. The company makes a second supplement, Happy Ducts, which is meant for short-term use to stimulate the lymphatic system in the breasts. Contains All the Major Galactagogues. 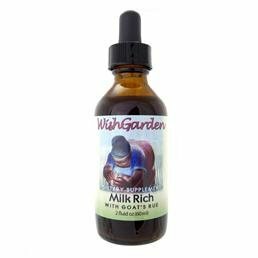 WishGarden’s Milk Rich contains well- known milk boosters: fennel seed, blessed thistle, goat’s rue, nettle leaf, and fenugreek. Good for Picky Moms. WishGarden products are non-GMO and gluten-free. Works for Many Moms. Many users said that this supplement was effective in increasing milk production. Well-Established Company. WishGarden has been in business for over 30 years. Easy to Use. The tincture form is easy to use and good for those who hate swallowing pills. Bad Taste. Some moms did not like the taste of this product. Not Budget Friendly. When taken as directed – multiple droppers full several times a day – this product is somewhat expensive. Are you a fan of the Honest Company? Lots of moms have found that the company founded by Jessica Alba has solid products along with the star power. The company is committed to a series of principles including transparency about what goes into its products and adherence to cGMP in its manufacturing facilities. The Honest Company’s Postnatal Lactation Plus is a blend of fenugreek, milk thistle, marshmallow root, fennel, and Shatavari. The label also discloses the non-active ingredients: vegetarian capsule, rice bran, rice husk, and silicon dioxide – a natural compound used to prevent caking. All ingredients except the silicon dioxide are organic. Contains Several Galactagogues. 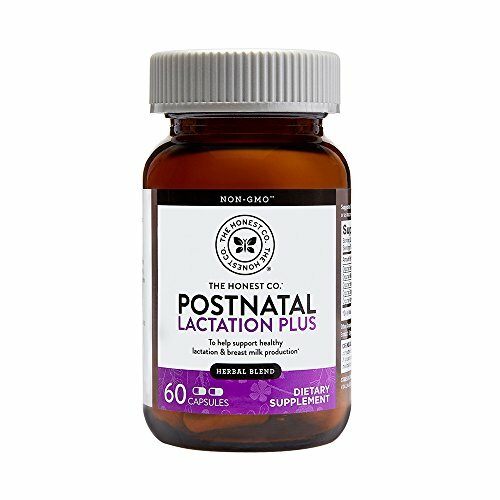 The Honest Company’s Postnatal Lactation Plus contains well- known milk boosters including fenugreek. Good for Picky Moms. Honest Company products are USDA certified organic and non-GMO and are free of gluten, artificial color, and unnecessary additives. Works for Many Moms. Many moms said that they noticed an increase in their milk supply while taking this supplement. High Standards. The Honest Company products are manufactured in the United States in facilities that meet cGMP standards. Warranty. The company states that if you are not 100% satisfied with your purchase, they will “create a solution” for you. Returns and adjustments will be made for up to 365 days. Easy to Use. The capsules are easy to take, and a daily dose is only two capsules. May Cause Gas. Some moms said that this supplement caused gas and gastrointestinal distress in either them, their babies or both. Not Budget Friendly. This product falls into the moderate to high price range. If you are a fan of keeping things simple, you’ll probably like Best Naturals Fenugreek. This single-ingredient supplement contains the substance most widely believed to enhance breast milk production. Most moms who take fenugreek do experience the famous maple syrup smell, but most do not find it a negative effect. Best Naturals is a line of no-frills supplements with no claims about being organic. They do state on their website that they are highly selective about the vendors who provide their raw materials. Best Naturals products are rigorously tested, according to the company website. The company tests raw materials before beginning production. Testing also is carried out mid-production and post-production. High Standards. Best Naturals Fenugreek is manufactured in the United States in facilities that meet cGMP standards. Customizable. This supplement can be combined with other supplements to create your own custom blend. Good for Most Moms. Best Naturals supplements are gluten-free and contain no artificial color, flavor or sweetener. Effective for Many Moms. Many mothers said that this supplement increased their milk production. Pleasant Smell. Most moms said that the maple syrup smell produced by the Best Naturals Fenugreek is pleasant and not overpowering. Budget-Friendly. The price per capsule is quite low, and only two capsules are recommended per day. Single Galactagogue. These capsules contain only one ingredient to increase milk production, but it is a proven performer. Not Vegan or Vegetarian. The supplement is packed in a gelatin capsule. If you would like to try plain fenugreek but hate pills, you can try Motherlove Fenugreek. An alternative to tinctures containing alcohol, Motherlove’s Fenugreek uses a combination of deionized water and vegetable glycerin as a carrier for the herb. That means it’s safe for those who need to avoid all alcohol. The recommended dosage for Motherlove Fenugreek is two droppers full. A bottle should last around a month when taken as directed. Motherlove is a well-established company that operates an organic farm in Fort Collins, Colorado. The company makes a variety of lactation supplements in tincture and capsule form. Contains a Major Galactagogue. 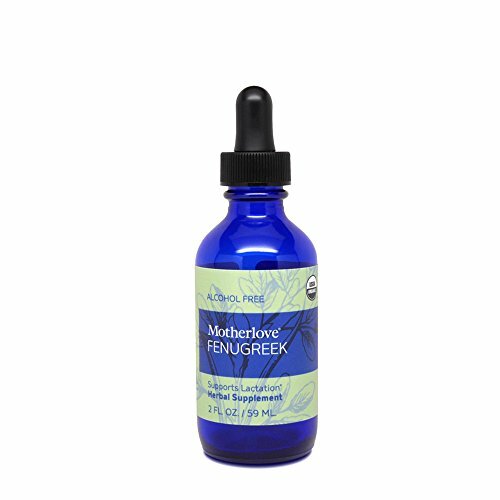 Motherlove Fenugreek Alcohol-Free Tincture is another way to take the popular milk booster. Good for Picky Moms. This product is cruelty-free, kosher and certified organic. Works for Many Users. Many moms reported improved milk production with this supplement. Well-Established Company. Motherlove has been in business since 1987. High Standards. Motherlove supports organic farming, sustainable crops and energy-saving practices such as using recycled materials whenever possible. Not Budget Friendly. When taken as directed, this product falls into the moderate to expensive category. If you’d like a single-ingredient supplement instead of a multi-ingredient concoction, Upspring Milkflow Blessed Thistle is another option. Although blessed thistle is generally considered less effective than fenugreek, moms who can’t tolerate the smell and other effects of fenugreek have reported good results in using this supplement to boost their milk production. Because blessed thistle has been linked to stomach upset, Upspring adds a proprietary digestive blend to each capsule. This blend consists of anise seed, ginger root, orange peel, and lemon balm. The labeling on this product is a little confusing. It is said to contain 1000 mg of blessed thistle, but the ingredient label shows only 250 mg. According to a company spokesperson, a concentrated 4:1 extract is used, so each capsule contains 250 mg of extract, supplying the equivalent of 1000 mg of the herb. 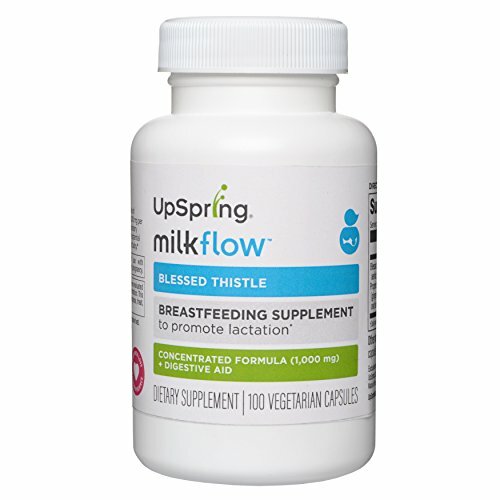 Upspring also makes a capsule that combines blessed thistle and fenugreek, along with other lactation supplements. Upspring specializes in all-natural, science-backed products just for moms. The company has a special interest in promoting breastfeeding. Good for Almost Everyone. Upspring Milkflow Blessed Thistle Capsules are vegan, gluten-free and non-GMO. All-Natural. Upspring products are always all natural, even the non-active ingredients (vegetable capsule and rice fiber). Works for Many Mothers. Many users said that they got good results with this supplement. Customizable. This supplement can be combined with other galactagogues to create your own custom blend. Budget-Friendly. This product is inexpensive, even when taken three times a day, which is the maximum dosage suggested. Single Galactagogue. These capsules contain only one ingredient to increase milk production, and blessed thistle is not considered to be one of the top milk boosters. Malunggay has been used for many hundreds of years but is just beginning to gain popularity as an herbal supplement in the United States. This herb comes from the moringa tree, which is native to the Philippines, India, and Africa. The terms malunggay and moringa may be used interchangeably. Malunggay or moringa is naturally nutrient-rich. This plant is especially prized for its pods, but it is the leaves that are traditionally used to increase milk production. Mother’s Select’s motto is “For the Love of Mom and Baby,” and the company is committed to making breastfeeding easier for moms. The company also makes other single-ingredient lactation supplements – goat’s rue, fenugreek, and Shatavari – as well as a multi-ingredient product, Nursing and Lactation Plus. Good for Almost Everyone. Mother’s Select Malunggay contains no wheat, soy, dairy or peanuts and is all-natural, vegan and non-GMO, so it can be used by almost all moms. Works for Many Moms. Many moms said that this supplement boosted their milk production. Warranty. All Mother’s Select products carry a 100% satisfaction guarantee with returns accepted for 30 days. Single Galactagogue. 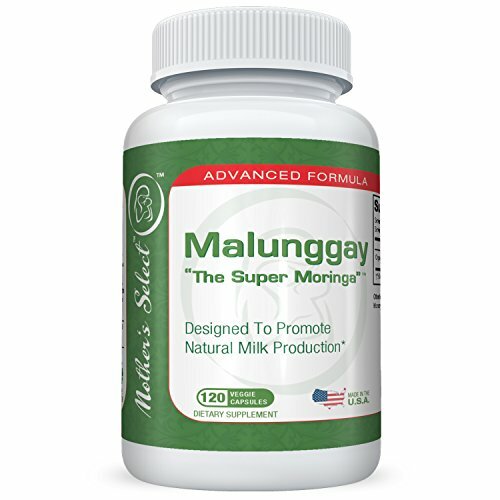 This product contains only one ingredient to increase milk production, and malunggay is a relatively unproven milk booster. Extra Ingredients. These capsules also contain dicalcium phosphate, monocrystalline cellulose, vegetable cellulose, silicon dioxide, and magnesium stearate. Not Budget Friendly. This product falls in the moderate to high price range, with four capsules per day being the recommended dose. Besides fenugreek, goat’s rue is probably the lactation supplement with the most stalwart reputation. It’s especially popular among those who are sensitive to fenugreek or who dislike the distinctive smell of that supplement. It’s also a good choice for those who don’t want a multiple-ingredient blend. 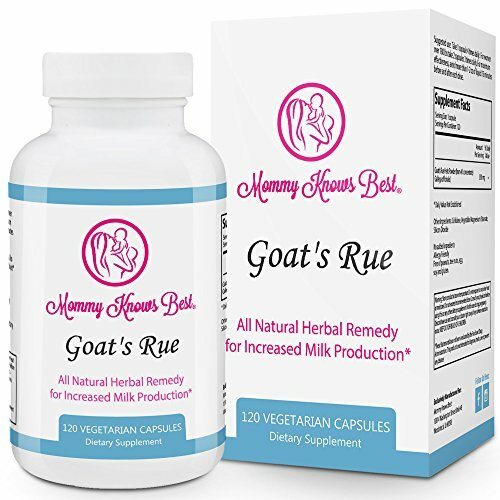 The suggested dosage for Mommy Knows Best Goat’s Rue is one capsule four times a day. This supplement directs moms to restrict liquids immediately before and after taking the capsule. Mommy Knows Best was founded by a mom who had struggled with her milk supply. The company makes a variety of lactation products, including drink mixes and lactation cookies. The company website features a helpful blog. Good for Most Moms. Mommy Knows Best Goat’s Rue is vegetarian, gluten-free and free of preservatives, artificial flavor and artificial color. Warranty. This product has a 100% satisfaction guarantee with returns accepted for 30 days. Single Galactagogue. This product contains only one ingredient to increase milk production, but goat’s rue is effective for many moms. Challenging to Take. Busy moms may have trouble remembering to take a capsule four times a day and also remembering to limit liquids before and after dosing. Extra Ingredients. These capsules also contain cellulose, silicon dioxide, and vegetable magnesium stearate. The best lactation supplement is Pink Stork True Milk, with its mix of fenugreek, anise seed, fennel, goat’s rue and two kinds of thistle. It’s not burdensome to take, with only two capsules suggested per day. True Milk is distinctive for being a 100% organic lactation supplement. That means it’s also non-GMO. It is packaged in pullulan capsules, so it’s good for vegetarian and vegan moms. It is also manufactured in the United States in cGMP facilities. Pink Stork was founded by a mom and is owned by women. The company backs its products with a 100% guarantee. For those who can be sensitive to new substances, a single-ingredient supplement may be the ticket. The Best Naturals Fenugreek or the Mommy Knows Best Goat’s Rue would be good places to start. Both get high marks from users. And if you have an adverse reaction, you’ll know that you’re not a good candidate for that ingredient and can move on to something else. Most nursing moms, however, will want a multi-ingredient supplement to boost their chances of success. For them, Pink Stork True Milk is a stellar choice.